Neil McCafferty – We are the Training Station. 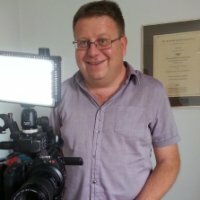 He currently works with a range of organisations training in media relations and presentation skills. These include the ICRC in Geneva, the British Ministry of Justice and clients in the financial sector in London. With the BBC, Neil was one of the corporation’s senior trainers after more than 15 years as a reporter, presenter and editor.